The day at Jones Beach started early. Some parking lots filled up before 9 a.m. Umbrellas covered the sand like sun block. “So many people here today!" Angela Wright of Soundview, in the Bronx. “Six umbrellas!," said Ling Bian, of Flushing Queens. Six umbrellas for 20 people, is that enough? “We need more!" she said. Happy Fourth: It's Going to Be a Scorcher! 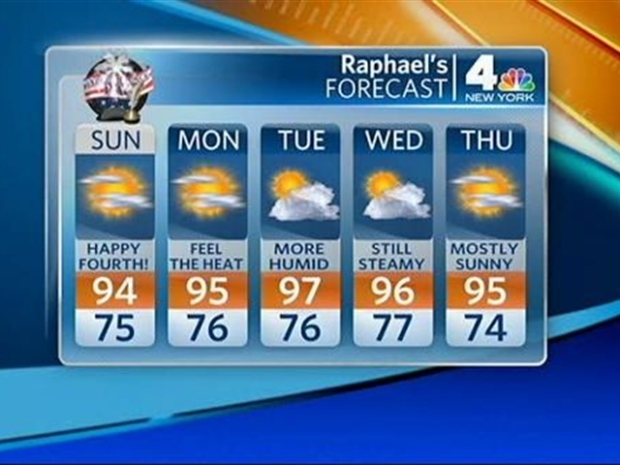 Raphael Miranda's July 4 Forecast calls for heat, heat and more heat. In Central Park, shade was key especially for families -- models. “I just started modeling and can’t afford to have tan line with sleeves and everything," said Paul Berggren. The fact that the heat wave is starting on a holiday weekend is actually good news for power companies. Many of these companies will not be operating at full blast and that will lessen the impact on the grid. A spokesperson for Con Edison told NBCNewYork that later in the week will be the true test, but they will have extra crews on hand just in case. The combination of sunlight and car emissions makes ozone. Both New York and New Jersey are warning people the air quality could affect your breathing and make you feel tired. The advisory for high levels of ozone will be in effect from 10 a.m. to 10 p.m.
People with respiratory disease and those who do vigorous work or exercise outdoors should limit activity when ozone levels are highest, generally in the afternoon and early evening. The summer is just beginning, and Con-Ed users have already reached record levels this year. And tonight, the utility is already working to keep the AC flowing this next week. Andrew Siff has an exclusive look inside the Con-Ed operations center. By noon the temps were over 90 degrees -- but who’s counting on American’s 234th birthday. “It's very fun and very proud to celebrate the 4th of July, one of the best days," said Jola Arevalo of Mount Vernon. The New York City health department and emergency management office will open cooling centers as temperatures climb to the mid-90s. The city will open public buildings that have air conditioning to visitors from Monday to Thursday. The National Weather Service said the temperature is expected to be 95 degrees or above on those days. 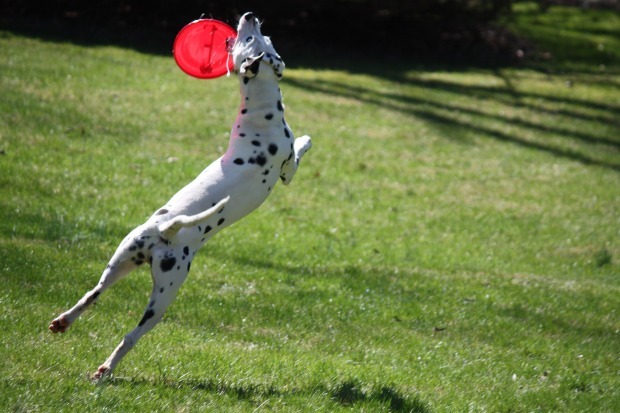 The weather service said the temperature reached 96 Sunday. The record high for July 4 was 102 degrees in 1949. New Yorkers looking to escape the heat can call 311 or go to www.nyc.gov/oem to find a cooling center.